It is no news to us that solar is gaining momentum worldwide, given its green credentials and improving economics. Needless to say, investment in solar reduces electricity cost and the total operating cost, as electricity is the biggest component of operating costs. Solar also comes with a 25-year warranty. Countries and people all over the world are embracing solar with open arms. 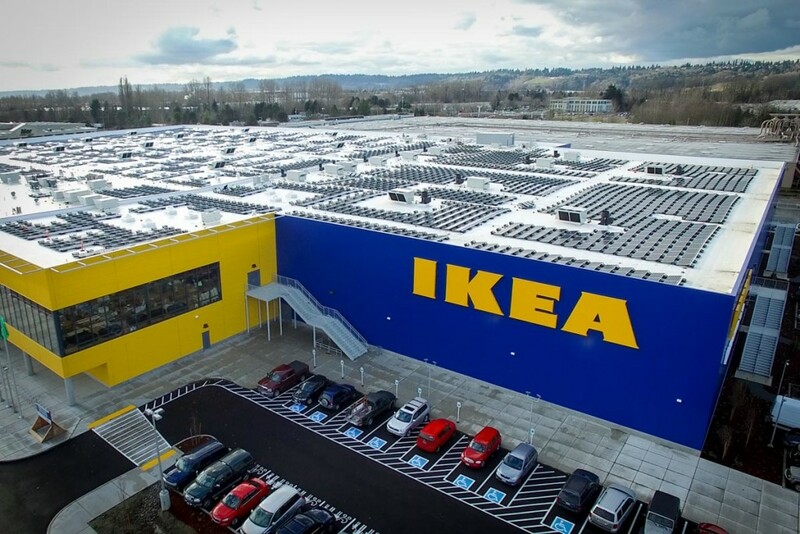 In order to reduce their carbon footprint, many large corporate houses in the west have pledged high on solar. There are many advantages of installing solar panels at your workplace. Going solar not only helps these big companies earn the green badge but also provide a good return on their investment. Switching to solar, wind or other renewable sources of energy is imperative for big companies as they have a huge demand for power. Using greener sources of power enables achieving their corporate sustainability goals and making them independent of the utilities. Some of the big companies that have been using renewable sources of energy are leaders in their industries and are globally recognized. Many technology companies like Apple are already running 100% on clean energy. Leading retail company Costco Wholesale has installed solar panels on 100 of its warehouses across the globe. IKEA has vowed to generate as much energy as it consumes, from renewable energy by 2020. These companies have altogether added 325 MW of solar power in 2017 itself. Auto manufacturers, including General Motors, Ford, Toyota and Volkswagen are also using solar energy. Businesses have varied solar installation choices ranging from rooftop installations, ground-mounted arrays or carport and canopy solutions, or any combination of the above. These corporations are setting big examples for citizens and other small and medium organizations who are looking at meeting their renewable energy obligations and are adapting to solar at a fast pace.